What is the Difference between Number Porting & Call Forwarding? Local Number Portability (LNP), also known as number portability and number porting, enables you to transfer / port the 212 telephone number purchased from us to your service provider. Call forwarding of 212 numbers, or call diversion, is a feature of some telephone switching systems which redirects a telephone call to another destination, which may be, for example, a mobile telephone, voicemail box or another telephone number where the desired called party is available. Call forwarding typically can redirect incoming calls to any other domestic telephone number, but the owner of the forwarded line must pay any toll charges for forwarded calls. Voicemail and IVR systems are extremely important. They are the gateway to your business and they should be recorded by professionals. If you’ve heard our greetings and wondered how I can get such professional sounding greetings, the answer is: Amtapes-Telrad Recording Studios. They provide quality, professional recordings that amplify your brand at a cost you can afford. If you have been searching for a recording studio that can put your IVR recordings in place in 24 hours and exceed your expectations… your search has ended. Speak with a friendly associate and witness the highest level your company image can achieve. A 212 area code phone number gives you the presence you always wanted in Manhattan. One of the most common questions we get here at 212areacode.com is whether you can port a 212 phone number to a cell phone. The answer we always provide is a sure YES, a 212 number on a cell phone is made possible through “Local Number Portability (LNP)” which means that anyone can take their number with them when they change carriers. More people are operating online businesses than ever. Not having a brick-and-mortar location doesn’t eliminate the need to be accessible to customers. If you run an online business, you may be left scratching your head about keeping in touch with customers by phone. After all, it’s not like you have an actual office or physical address for your business. Still, it’s important to have a dedicated number at which you can be reached, and a virtual number is an optimal solution. A virtual number is a number that can be assigned to a variety of devices. When someone dials your virtual number, their call may be routed to a home phone, business phone, cell phone or computer. In other words, you eliminate the need to have several numbers, and you’ll always be available to answer calls. Several companies offer virtual numbers. Google Voice and RingCentral are two prime examples. Google Voice is free and easy to use, and RingCentral is very affordable. Regardless of the service you use, you will be offered a generic number. A much better option is to buy a 212 number instead. Why Use a Virtual 212 Number? By purchasing a 212 phone number and assigning it to your virtual phone service, you will show customers that you’re a legitimate business. Everyone knows that the 212 area code is the main area code for Manhattan, where some of the most prominent and profitable businesses in the world are located. At a glance, customers will get the impression that you’re operating out of the commercial and business capital of the world, even if you’re hundreds of miles away. It’s easy to buy a 212 number and assign it to a virtual phone. Do it now to start enjoying the prestige of having such an exclusive business number right away. It’s understandable to not want to pay for an additional phone number; after all, it often means having to pay for multiple lines of service. 212areacode.com is happy to announce, though, that there is a simple and affordable way around this issue. It’s offered by a revolutionary service called Line2.com, and it allows you to enjoy the best of both worlds: a 212 phone number and a low phone bill. What are the Benefits of Line2.com? The day is finally here: We’re ready to announce the big winner of our 212 phone number sweepstakes! Before doing so, we’d like to express how amazed we have been by the entries. Zeroing in on a single winner was no easy feat. These responses were thoughtful, thought-provoking, intriguing and, at times, quite humorous. As a token of our appreciation for all of these excellent responses, we’re thrilled to give a 25% coupon off any business class number to everyone who participated (Please contact us through Faceebok for the coupon code). As amazing as all of the entries were, one really stood out. In his entry, Matthew Leslie perfectly encapsulated why we set out to make premium 212 numbers available in the first place. The dismissive attitude that Leslie and his team encountered from movie industry movers and shakers is all too common. In many industries, your company is virtually invisible if it can’t be reached through a 212 phone number. Despite being the third-largest city in the U.S., Chicago is, indeed, smack-dab in the middle of flyover country. As Matthew quickly learned, people just don’t have respect for the vast majority of area codes. Luckily, 212areacode.com is here to level the playing field. With that being said, we are proud to award Matthew Leslie with an exclusive 212 area code number ending in two zeros. We’re confident that this prestigious number will put a quick end to the condescending and patronizing attitudes that Matthew’s encountered while growing, expanding and promoting Arx Axiom. Congratulations Matthew! Thanks for entering our contest, its been amazing! To run a successful and efficient business, it helps to have a dedicated fax line. After investing in a prestigious 212 number for your main business line, wouldn’t you like to buy another one to use as a fax line? That way, you’ll have a matching pair. After all, a fax number with a different area code sort of ruins the effect of having a 212 number. If you’re worried about the logistics of porting a 212 area code number as a fax line, don’t be. It’s actually pretty easy; you just need to use the right service. Your company’s image will be even better when you have a matching 212 fax number to go with your 212 telephone number. Rates are so low for these numbers and for the service that you should be able to afford it without any trouble. 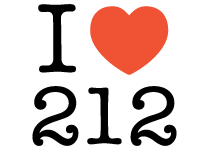 Buy your 212 number from 212AreaCode.com today! At 212areacode.com, our clients tell us their success stories all the time. After all, a high-quality 212 phone number can enhance a company’s image and produce many other great benefits too. While accolades from existing customers are great, we’d love to hear about how you think a 212 phone number could benefit your own company. As an incentive, we are putting on an exciting new contest. Learn more about it below. To enter the contest, you don’t have to fill out a boring form or complete a survey. Instead, you just have to tell us why you want a 212 number for your business. Explain to us how you believe a 212 number would help your company’s image and overall success. You can be sarcastic, serious, sad or even funny but convince us that a 212 number would be a major benefit for your business!